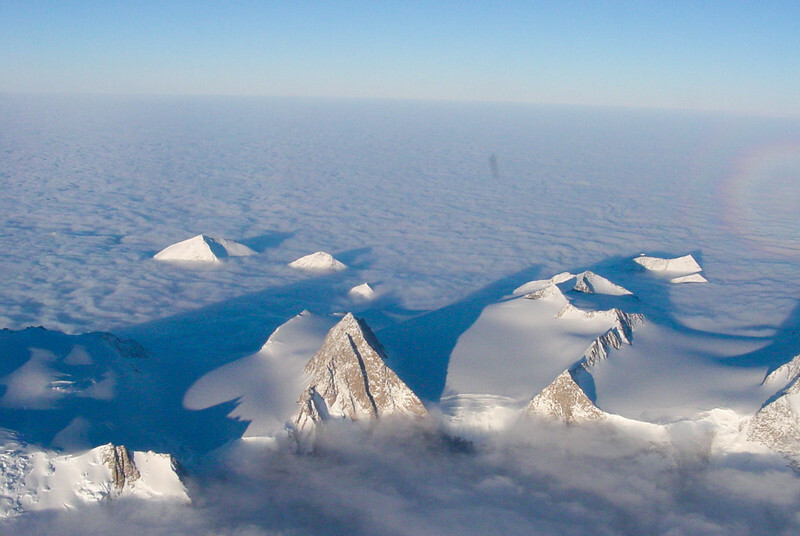 Took this photo on New Year's Eve of 2001 during a flyover of Antarctica. We had about four hours of flying time over the continent. This is somewhere near Tucker Glacier. More on the flight and more photos in a later post. Note to self: Whenever you make it anywhere near Antarctica take a DSLR!